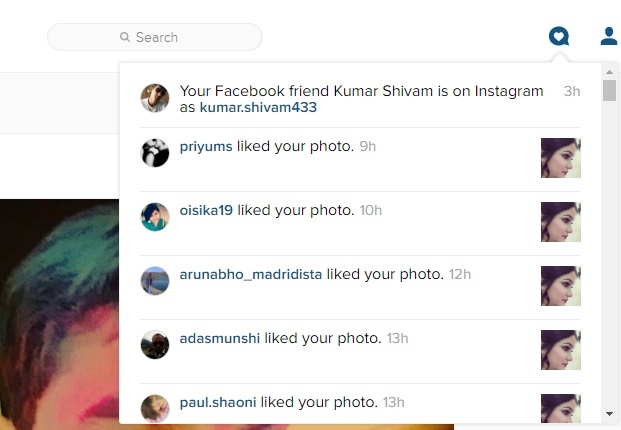 Instagram has added a new feature in its web version and that’s notifications. The web version of Instagram has been the most ignored platform and very rare any update is pushed to the web version. While the mobile apps are enriched with a plethora of photo editing features, adjustments, frames and filters, the web version is still in its primitive stage. That is the only reason why a sudden inclusion of Notification has become viral in the internet. The photo sharing service has become more and more feature rich ever since it has been acquired by Facebook. According to many critics Facebook is making Instagram like itself day by day. Facebook then launched a dedicated website for Instagram. The website notifications are available to everyone. When you tap the heart icon located at the top right corner of the screen, you will get the web notifications. The web notifications for the web version will consist of the new friends that have joined Instagrams, Likes, Comments and the people who have started following you.